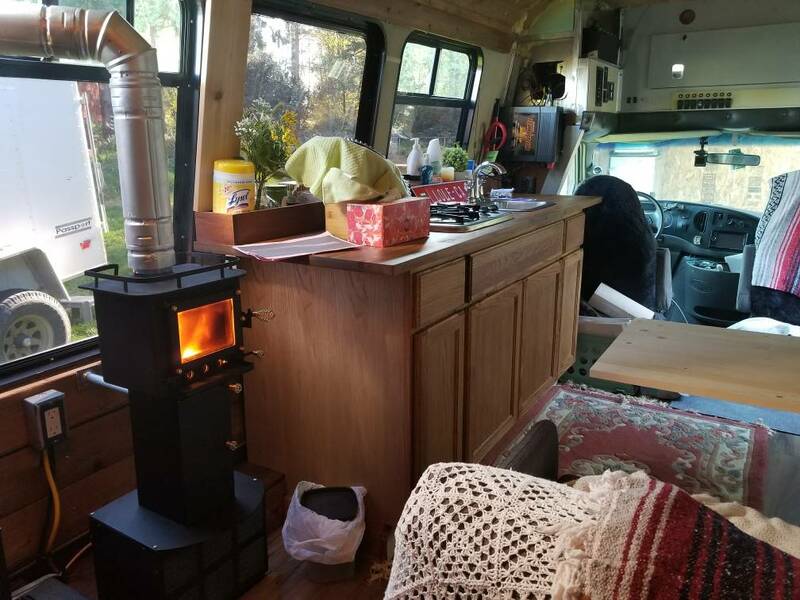 We installed this tiny wood stove in my buddy's bus and the heat output is simply amazing! The stove is made in Quebec and is tiny (about 10"x10"x10"). Add a couple 6" long logs and you'll be cracking windows in no time. Bonus these couple logs will last a long time! The pipe isn't permanently installed, we were just testing it. 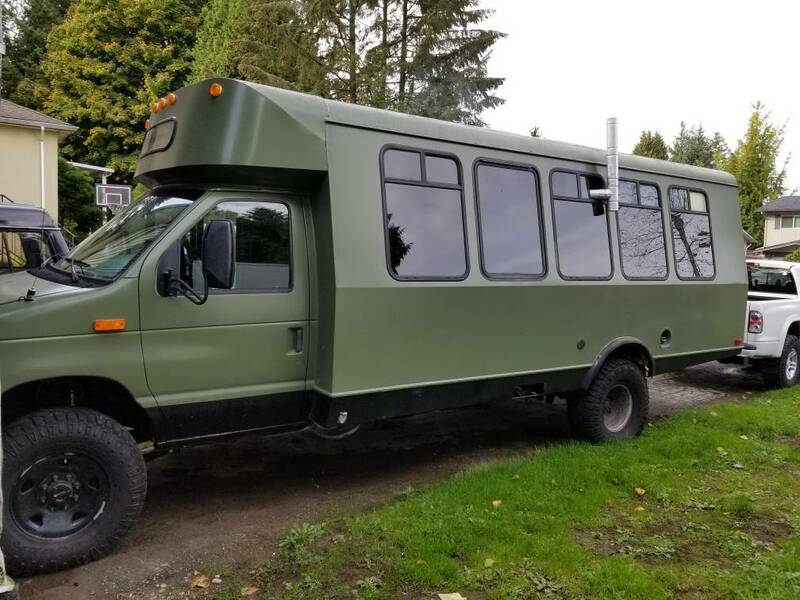 Yea, nice rig. 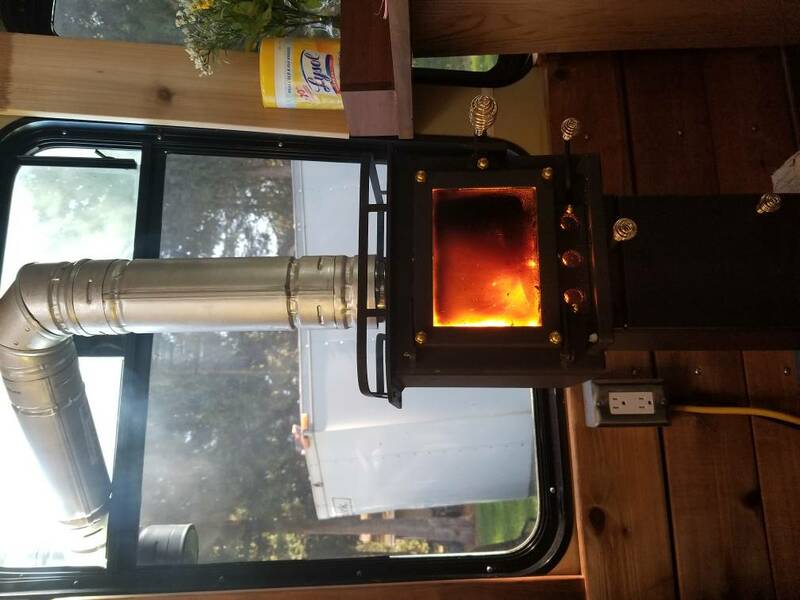 I had a diesel fired heater with a clear window to the fire box on my boat,and I could drink several beers while watching the flame on a cold night. That looks great. So cool. This is still on my bucket list.